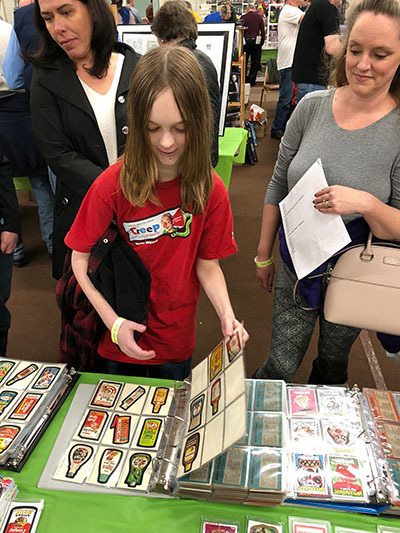 This is a review of the Philadelphia Non-Sports Card Show which was held the weekend of April 7th/8th, 2018. This review is of the Wacky Packages aspets of the show only. We had a truly wonderful time as usual. 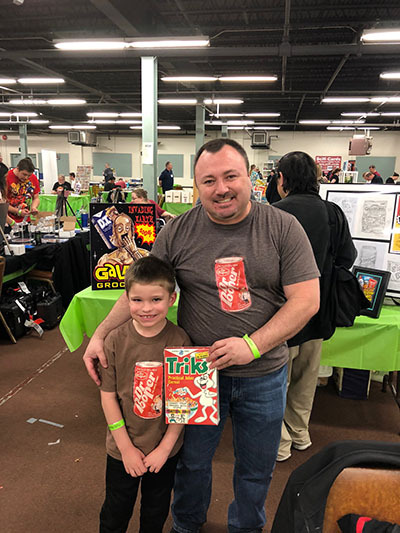 It is like a reunion and a warm hearted Wacky Pack party every time, we never get tired of talking about Wacky Packs and sharing the love. Thank you for everybody that came by our table. Unfortunately, there was a rather light turnout. It seems about half the usual Wacky Pack collectors were there and overall the entire attendence was low. We suspect the show is not being sufficinetly promoted and we hope this is not the start of the end of the show - we'll just have to wait till this Fall show to see if things improve. There were several fabulous artist attending the show including Jon Gregory, John Brewer and others. The life of the hobby right now seems to be in the sketch cards. Everybody is fixated on the sketch cards, and there seems to be little to no interest in Movies or Old School Wacky Packs - which the consensus says are mediocre at best. It is still pretty much all about the originals 1967-1976 at the show, and the corresponding homage art being produced now (aka sketch cards). 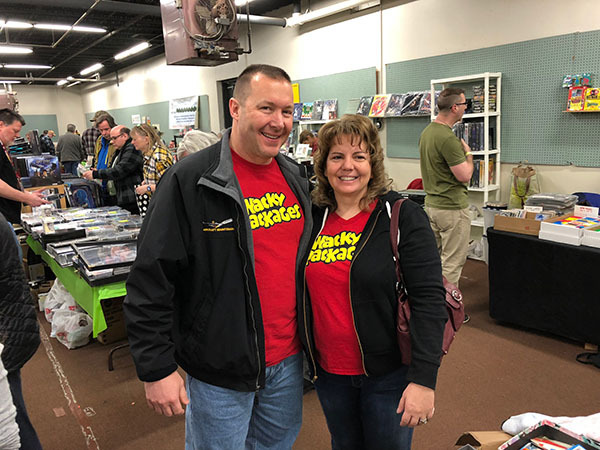 There were no negative opinions about Lost Wackys voiced at the show, however the word on the street is that there are the usual haters on some forum somewhere going nuts. However nobody could say exactly what specifically they are upset about that cannot be explained by some pettiness of some sort or another. Haters gonna hate. Disclaimer: Everything on this page is the opinion of Wackypackages.org.